The Nigerian Naira continues to fall against the US dollar, exchanging at a rate of N375 to $1 yesterday in the parallel market. Economists have advised the Federal Government and the Central bank of Nigeria (CBN) to consider alternative policy options to halt the currency’s decline and reverse the nation’s fortunes. Following the floating of the currency by the CBN, the local currency lingered between 346 and 348 on the parallel market before falling to 360 by the end of last week. It continued trading in an around 360 this week before falling to a new low of 376 at the close of business today. 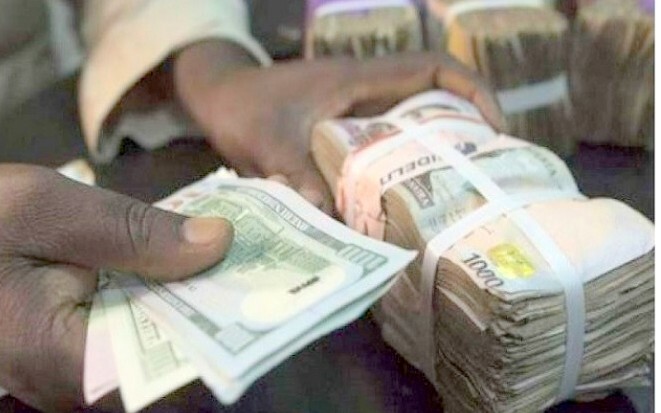 The scarcity of the greenback in both the foreign exchange and interbank markets has fuelled continuous depreciation, and traders complain that the lack of CBN’s intervention is doing nothing to prevent the free fall. The Chief Executive Officer, Economic Associates, Dr. Ayo Teriba, noted that there was a need for the Federal Government to seek foreign exchange from alternative sources in order to cover for the shortfall. “There are a number of things we can do as a country to boost our forex supply. Just the way India did some years ago, we can tap Nigerians in the Diaspora to contribute forex to save the situation at home. We can’t say we have done all when we have not done this,” said Teriba. Citing the case of India, he suggested tapping into Nigerians in the Diaspora to contribute forex and supply the market with liquidity. He also suggested publicly listing government agencies in critical infrastructure like rail, power transmission, oil and gas pipelines to raise forex through an initial public offering (IPO) as was done in Saudi Arabia. Nigerians are searching for innovative solutions to end the dollar liquidity crisis as most investors would like to see a more liquid forex market before resuming the purchase of local assets. Foreign investors have welcomed the removal of currency controls, but many are still holding out for signs of a recovery before committing resources.